Raising achievement – Have you heard about ‘maths anxiety’? We can all agree about the importance of mathematical learning for children’s future academic success and life chances. 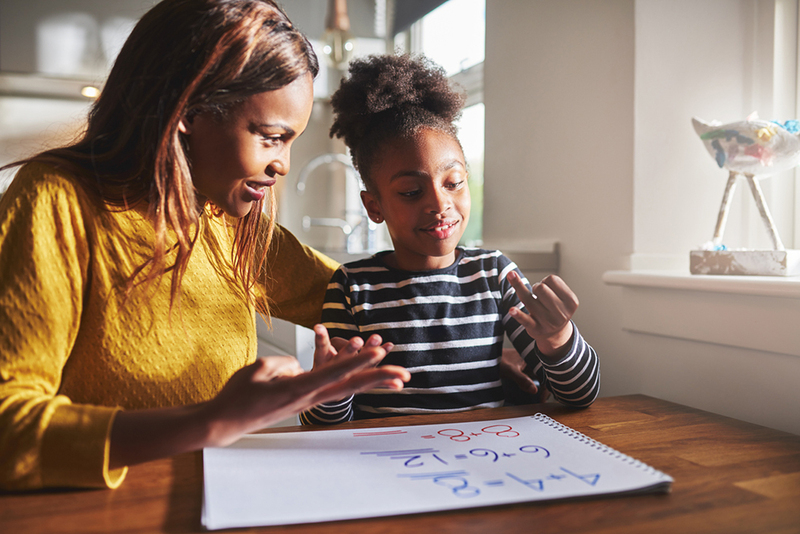 Children who leave primary school with the expected standard or above are likely to achieve a good grade at GCSE maths, so it is crucial they get off to a great start. One of the barriers worth giving some thought to is the notion of ‘maths anxiety’. When thinking about raising achievement in maths, it is important to consider some of the barriers that get in the way and how we might help children to get over them. Maths anxiety is a recognised disorder and is actually quite common, with up to 1 in 5 people affected. It is a debilitating emotional reaction to maths which has been known about since the 1950s, but very little has actually been done about it. People are affected in a variety of ways, from mild panic and mental disorganisation to headaches and nausea. It can lead to decreased maths confidence, less enjoyment of, or avoidance of the subject. 20% of adults have felt anxious when confronted by a maths problem. 23% of parents report that their eldest child often feels anxious when attempting a maths problem. 36% of younger people (15-24-year-olds) feel anxious about maths. Maths anxiety can affect anyone, whether they might be considered ‘good’ at maths or not. It is not the same as dyscalculia. Girls tend to be affected more than boys. Working memory is affected due to stress. Signs to look out for are include children getting upset, seeming worried, trying to avoid a task, copying from others or perhaps making wild guesses to avoid thinking. Be aware of maths anxiety as a real difficulty and be able to talk about it. Take great care in how we talk about maths – it is not a very difficult subject only for very brainy people! Get parents on board to encourage a positive culture for their children. Discourage talk such as “I was never any good at maths” or “I hated maths at school”. Try to make maths as fun and relevant as possible with real-life applications. Avoid putting children on the spot for quick answers. Teach simple relaxation or breathing exercises. Visit the Maths Anxiety Trust for more information. With thanks to Beverley Smalley for writing this blog. Beverley is an education specialist, writer and former primary school teacher.